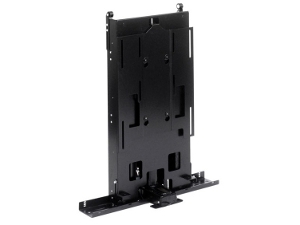 The Future Automation AL820 is no longer manufactured and has been superseded by the LSL-PF and the LSM-PF click here for more info The Future Automation AL820 flat screen lift is a stunning new tv lift mechanism suitable for screen sizes from 42 inch to 55 inch. The AL820 lifting mechanism features a near silent motor system which raises a screen from within a cabinet up into a viewing position. In addition to this the unit has an adjustable push rod which is used to raise a hinged flap lid without the TV making contact with the lid when raised, the lift is lowered and the panel will fall back into the closed position. The AL820 lift mechanism can be controlled by RS232, contact closure and as standard comes complete with an IR remote control making it fully intergratable with most brands of home automation control systems. Also available is a RF remote option which will allow the lift to operate by remote out of the line of sight, a handy addition if the unit is not being configured to an existing control system.